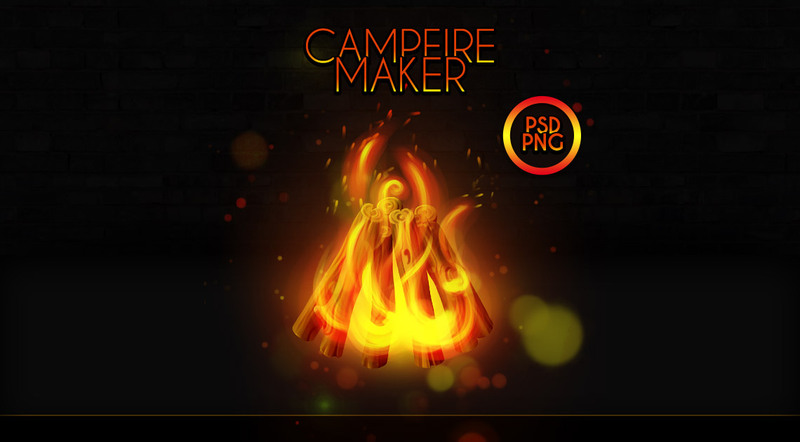 Campfire Maker Asset is pack of Fires with different elements, like woods, lights to create your own CompFire in casual, hand drawn style for your mobile/web/video game, illustration, icon. 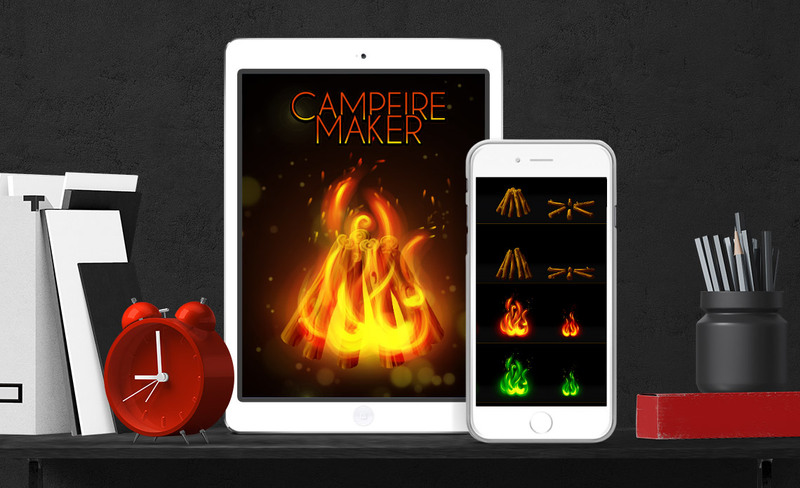 It included different graphics styles and elements to create your own Campfire. 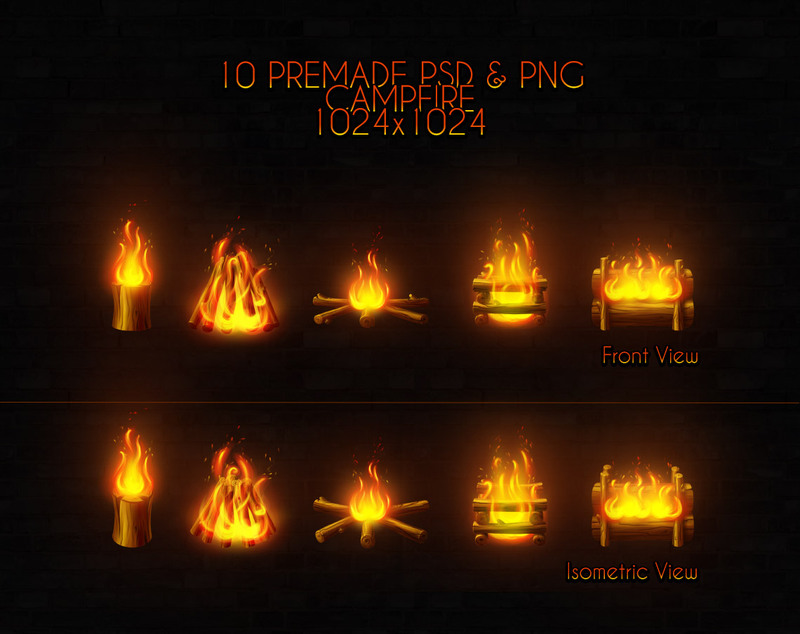 • 10 Premade CampFires in Isometric and Front view in PSD and PNG. 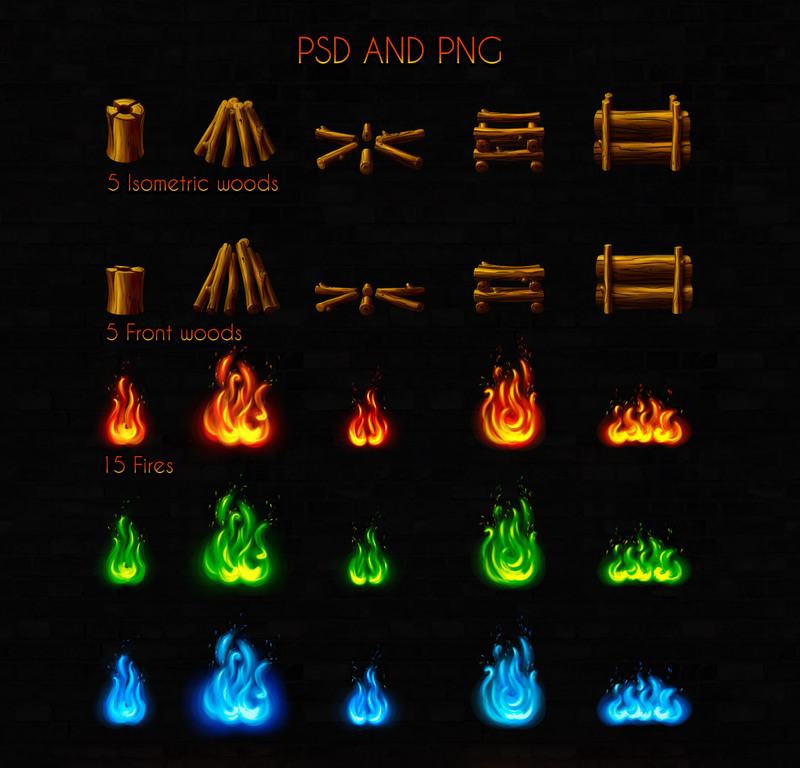 • 40 Fires Elements, like woods, fires, lights in PSD and PNG.